London is a powerhouse of musical innovation and The London Remixed Festival brings you la crème de la crème. Showcasing the best in Latin Remix, Afrobeats, Vintage-Remix, Electro-Blues, Acoustic Soundclash, and Brass Band Remix, they are kicking Global London into the future! The festival is a celebration of the best emerging musical talent and genres and will offer creativity, fun and madness, complete with buzzing atmosphere & music… but without the mud, rain or hassle of camping. 1 ticket will give you access to performances from over 25 cutting-edge bands and DJs across 4 stages over 2 days, all in one vibrant venue nested in the heart of Shoreditch. 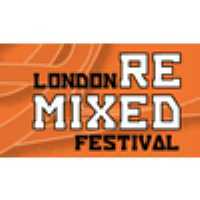 London Remixed Festival 2017 - Feb 3rd & 4th - First Names Announced!